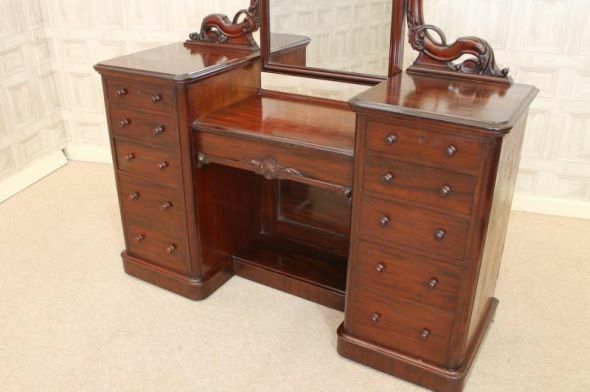 This Victorian bedroom suite is a lovely addition to our vast range of Victorian mahogany bedroom furniture. 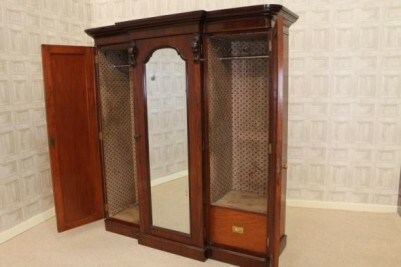 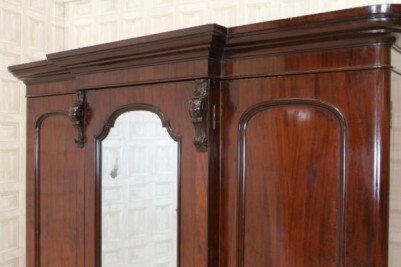 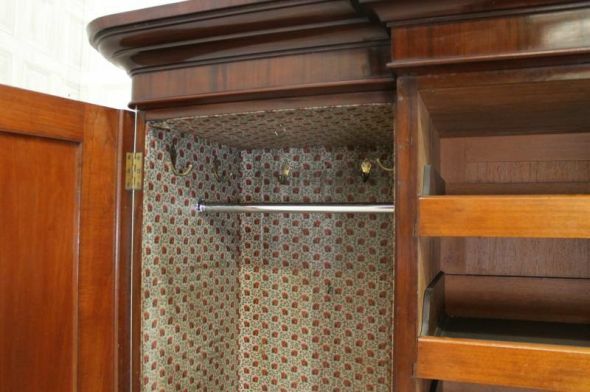 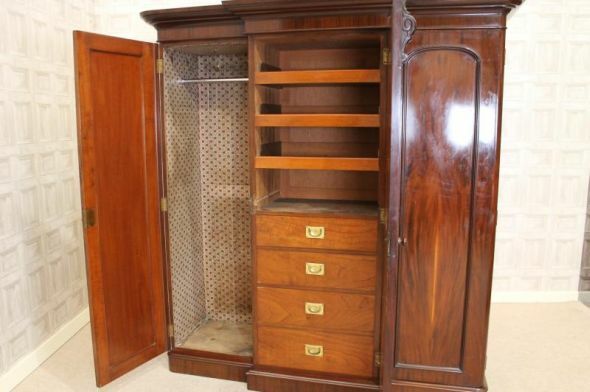 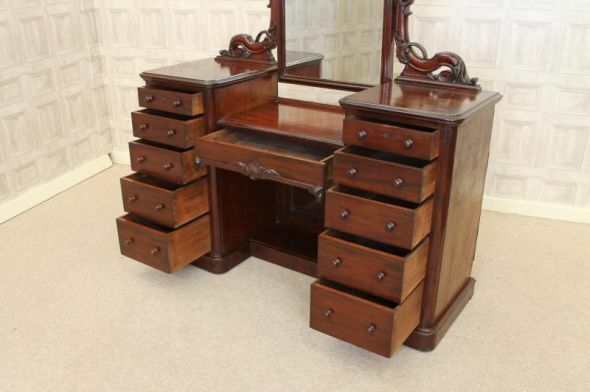 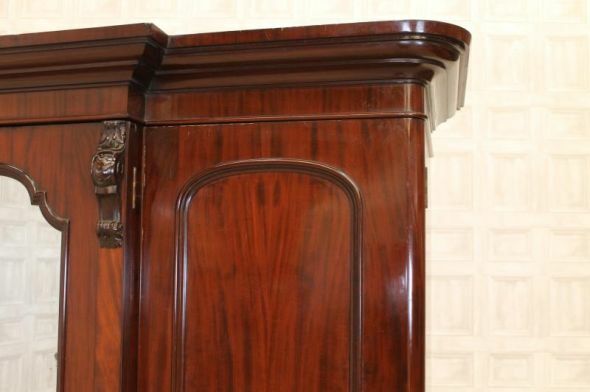 This impressive mid-Victorian mahogany compactum wardrobe comes with a matching dressing table and a beautiful twin pedestal wash stand with marble top. 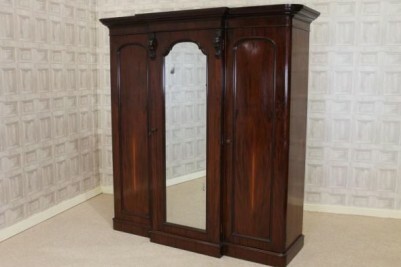 The bedroom suite is complete with a triple door wardrobe with mirrored centre door and fitted interior. 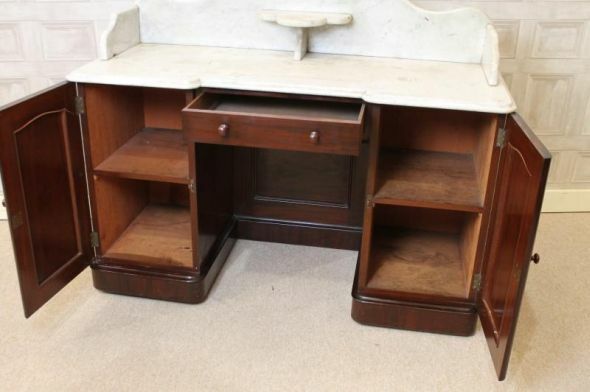 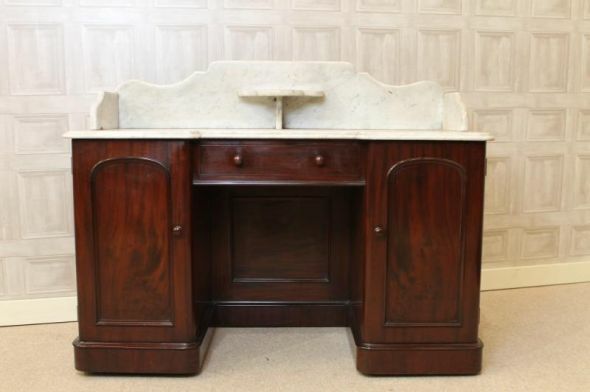 This is accompanied by a beautiful and elegant twin pedestal duchess style dressing table, and is finished with a lovely twin pedestal marble wash stand. All items are in good condition for their age considering that they are over one hundred and twenty years old. 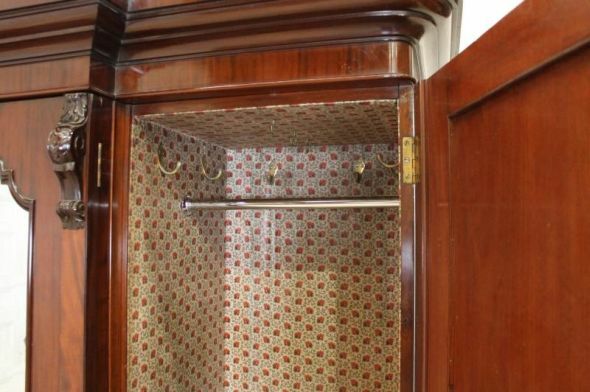 There are new additions to the inside of the wardrobe such as modern hanging rails. 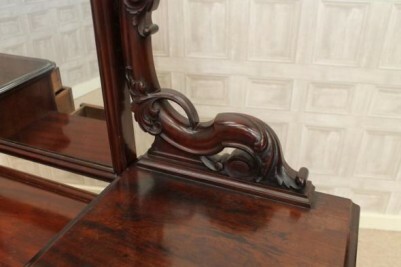 There is also some slight foxing to the mirror. 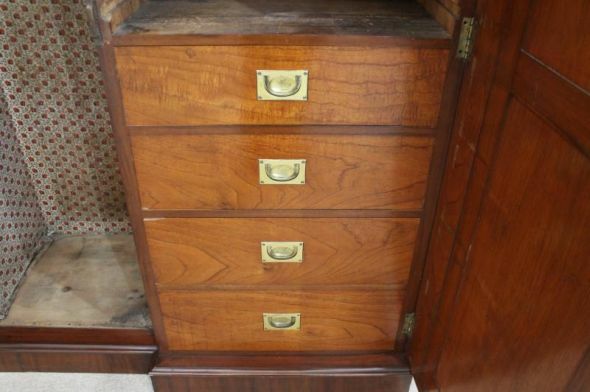 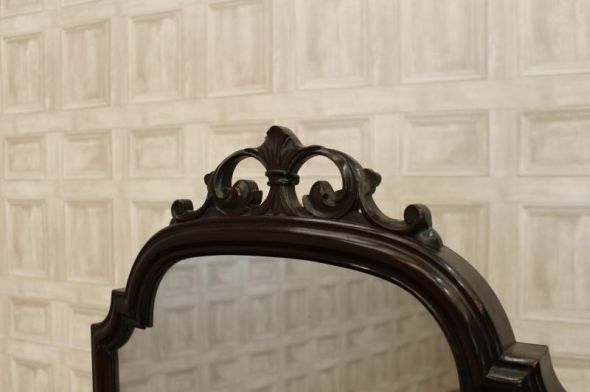 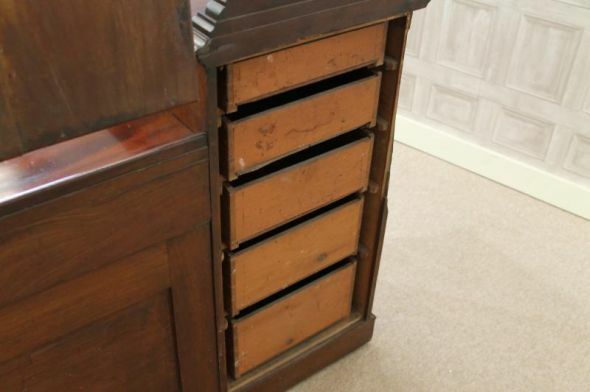 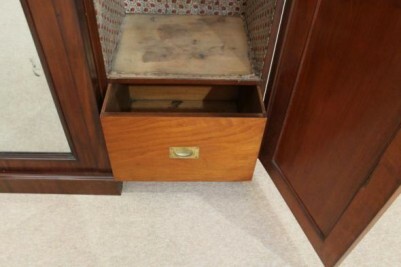 The dressing table has a small amount of wear and tear to the polish work, and one of the rear panels to this item is also missing. 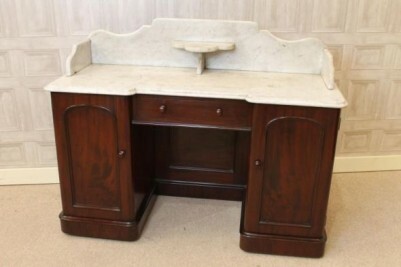 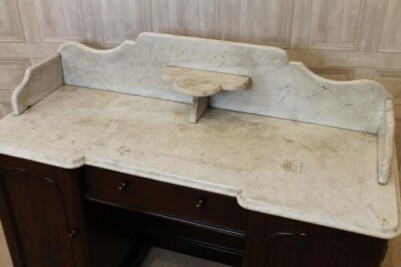 The wash stand has a small amount of wear and tear to the polish work, and a few light stains to the marble. 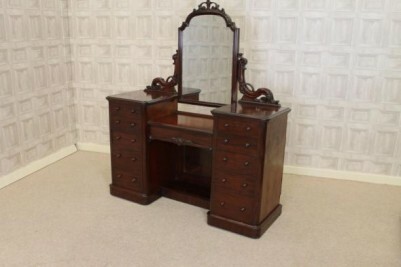 An elegant and impressive Victorian bedroom suite to complete any period interior.